An open joint, normally near-vertical, in limestone. Grykes are formed by acid erosion from water percolating through existing cracks and joints in the alkaline rocks. Over time this erosion widens and deepens the cracks forming a distinctive flagstone-like formation [see also Clint]. 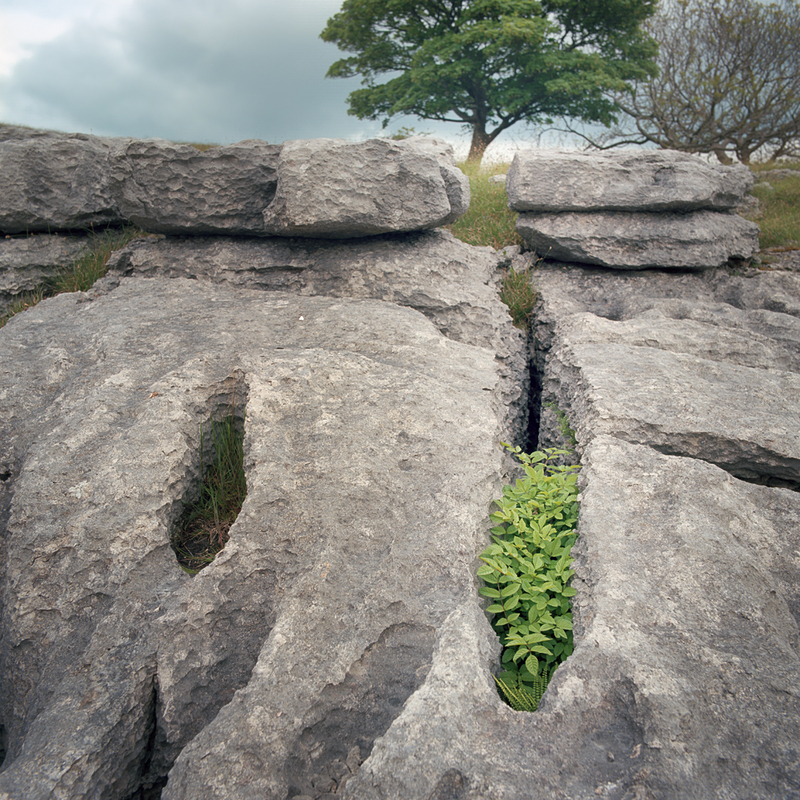 Grykes provide a niche habitat for flora and fauna, protected from grazing, predation and the elements even delicate species can be found thriving within. Late 18th century (originally northern English dialect): of unknown origin.